I have researched, discussed, and read so much about juice cleanses and think I am to tackle it for 5 days of rebooting my system. After months of training, racing, travel, and other life stresses I decided I need to cleanse my body of all the toxins and get a fresh start for my kidneys. I returned from a long few months on the road and am just getting over an episode of cramping where blood tests showed rhybdomyolysis in my kidneys. The doctor had me get an IV of 2L of fluid to help hydrate and flush my kidneys. After a couple more days of rest and looooots of pedialite and hydration the cramping stopped and I felt back to normal, at least with walking and everyday activity. Training will take a little longer to rebuild however, so it is the perfect time for a juice cleanse. Without the big intensity workouts that require a lot of energy, and good recovery, I am able to stick with just juice and let my body recover. Discussing a plan and information with Fred Liers, and Dr. Hank Liers of Integrated Health Distributors we have put together the best program and technique for me as a professional cyclist to tackle this cleanse. Over the next few days I will be posting daily updates about my journey. I will also include advice, recipes, pictures, and discussion of how I feel while still training and going through this cleanse/diet. Let the juice journey begin! Day 2,3,4 : Just Juice – Drinking as much and as often as I feel. But only juices with a combo of fruits and vegetables to give me enough vitamins, minerals, and energy to keep my day going and keep training (even with no solid food). Mornings: Start out with a Lemonade drink first off to get my system going. Then 15-30 min later I drink 8-16 oz of Detox Tea. Then about 1hr later I’m getting hungry and it’s juice time. Lemonade Recipe: 8 oz purified water, 4 oz lemon/lime juice (about 3 lemons and 1 lime) , cayenne pepper (to taste as things get spicy), small amount of maple syrup or stevia to sweeten ( I have also just been toughing it out and doing without). Detox Tea: I’m in a crunch for time and money so I just bought the Yogi Brand Peach Detox tea and put 2 bags into 3 quarts of water. 1 quart I drink for my morning tea routine, and the rest I drink throughout the day. The kidney cleanse also calls for taking tictures with the tea. These are reduced down herbal liquids that you can find at whole foods or ordered online. Fred Liers, from Integrated Health Distributors, recommended getting a couple different ones since I was in a crunch on time and not able to order the correct ones. 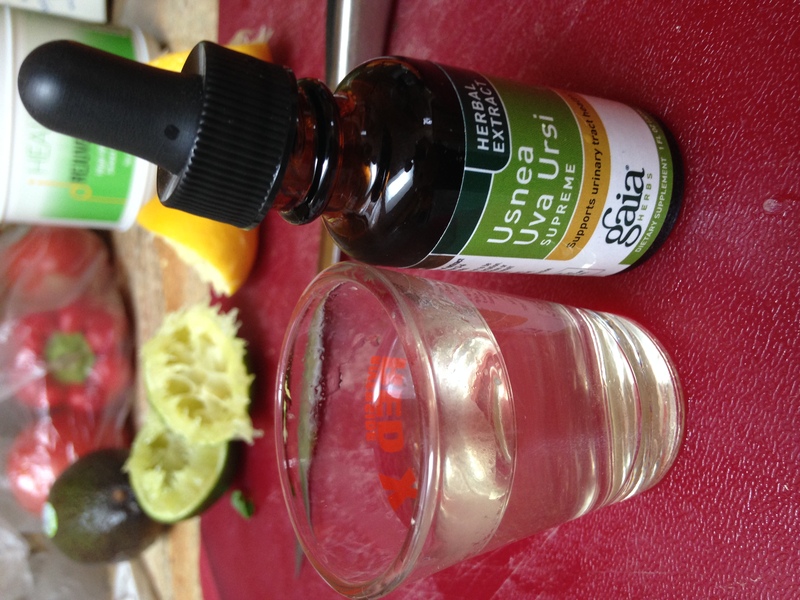 I found the Uva Ursei at Whole Foods, but they didn’t have the Parsley or Juniper Berry. I took 2 shot glasses almost full of tea and put in a dropper of the tincture, then took them like a shot before drinking my 8-16oz of tea. Today I started the cleanse with the Lemonade and Detox Tea but was happy to not jump in head first to the strictly juice just yet. I ate an apple, banana, baby carrots, and a salad for lunch and dinner which included an avocado to get some protein and fats (you can also include nuts since that is considered raw food). 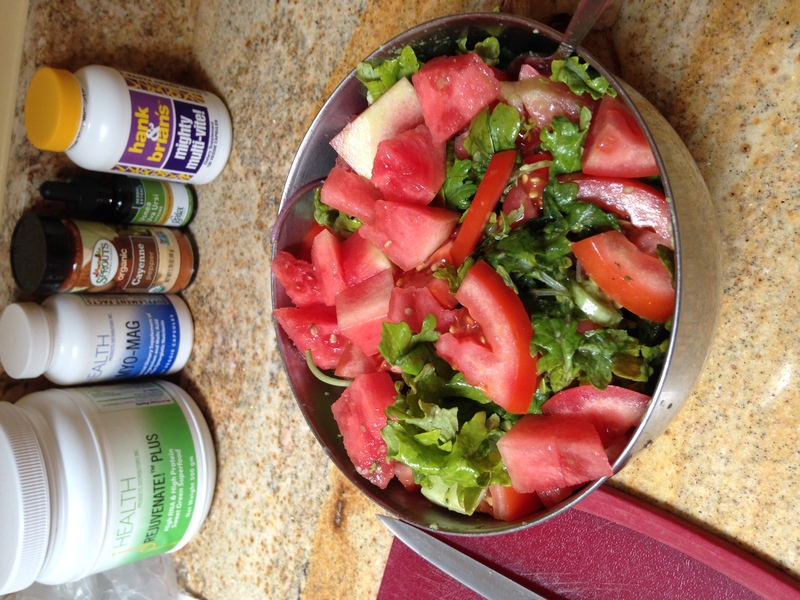 I also threw in some watermelon and strawberries into the salad which made it extra good. Since I got my juicer and wanted to get it for a spin and have some fun experimenting I did make some juices and drank those during the day also. This first day wasn’t too hard since I am already used to eating a lot of salad and fruits. Just not having any meat or protein was tougher and felt a bit hungrier and meals didn’t hold over as long. I also noticed I have was peeing A LOT more just from the tea and juices. This will probably be an indication of the bathroom usage to come in the upcoming days haha. Training: 1’20” ride easy just to feel out legs and get some exercise on the bike. Swam about 30″ total, going back and forth between hot tub and pool to get contrast and circulation in muscles. 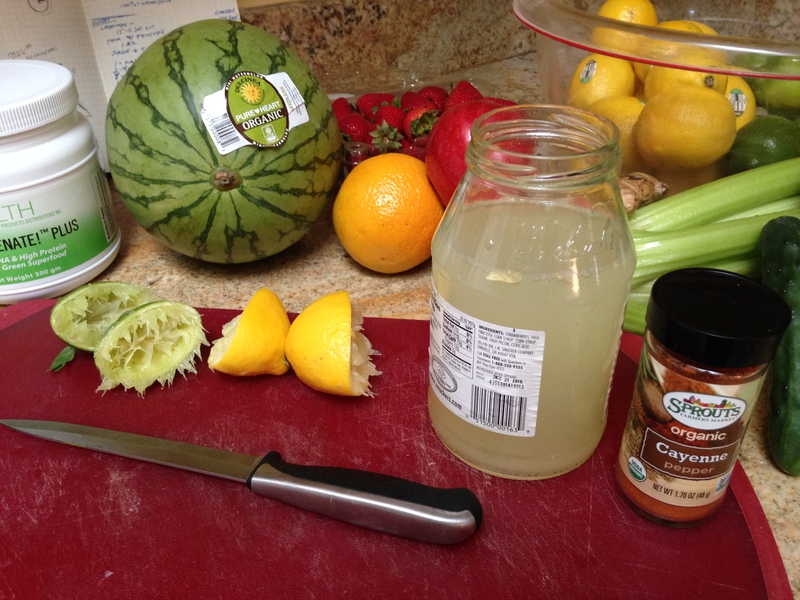 Started off with my Lemonade, the sourness is already a tough chug but beware of that cayenne. Added too much this morning and it definitely woke me up. After drinking the tea (20 min after the lemonade) I was surprisingly not very hungry during the morning. I had my first juice at 9:30ish and usually if I don’t eat soon after waking up I’m starving. This was a surprisingly common feeling all day. I kept drinking throughout the day but even when I was riding or swimming I didn’t feel weak or tired at all. Throughout the day I’ve felt pretty good overall. I am enjoying the lack of thinking in this. I don’t have to think about what I’ll have post ride, or for lunch, or for dinner, because it’s already decided for me … JUICE! 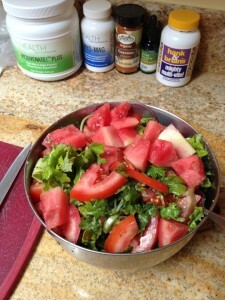 No dealing with cravings or suppressing hunger or getting snacks to hold off till meals. I like just being able to drink whenever and as much juice as I want. I feel lighter and no stomach issues. #3- the garlic juice had a funky after taste from the garlic and needed the parsley to cut the strong flavor, but probably put too much because the juice came out a bit spicy. Added more rejuvenate to this one and helped bring down the intensity from the garlic. 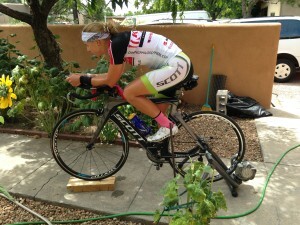 Training: 2’10” ride relaxed and feeling good. Not feeling hungry in the ride, but had to stop for a pee break (that seems to be a common theme today). Hungry at end of the ride and juice was great for recovery. Swam 40″ total, with some back and forth to the hot tub for more circulation. Felt good and never got hungry since I had juice before and after exercise. That is one thing that was important today with exercising, is to keep juice and hydration available at all times. Pre and post is so important for training and on a cleanse you can’t neglect your body needed nutrients. I didn’t even wake up very hungry, and once I had my Lemonade and Tea I felt full already before even having any juice. My routine has gotten pretty on point also; I get up and right away put on water for tea, then I start squeezing the lemons/lime for lemonade. Once I’m done making the lemonade I sip on it while the tea steeps and I prep for juice. Washing all the produce and getting bottles ready. As I drink down the tea it’s juicing time. Lay out the spread and juice out 3 or 4 quarts. 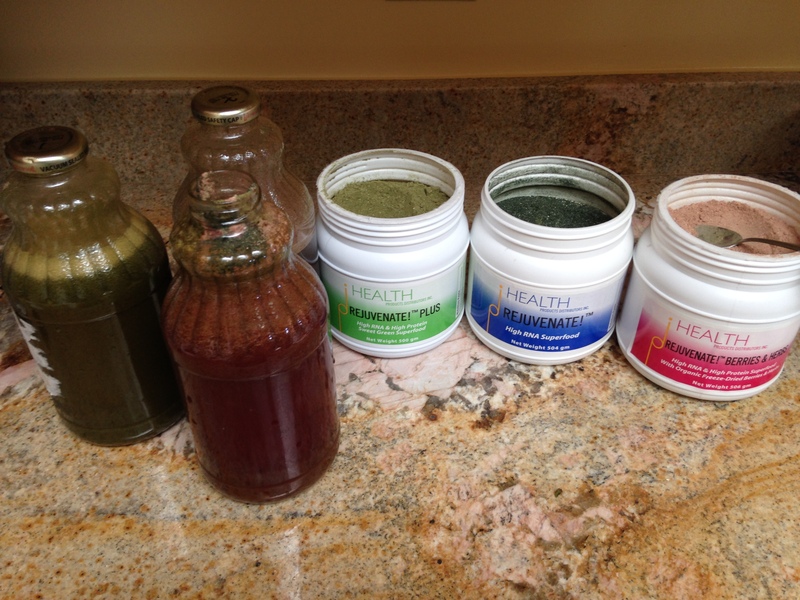 I am having a lot of fun with different recipes and playing with the flavors where each bottle is different. #3- this one makes me feel like I’m being healthy, cause it doesn’t taste so great haha. #4- this one had a little kick with the parsley and ginger, definitely tasty! 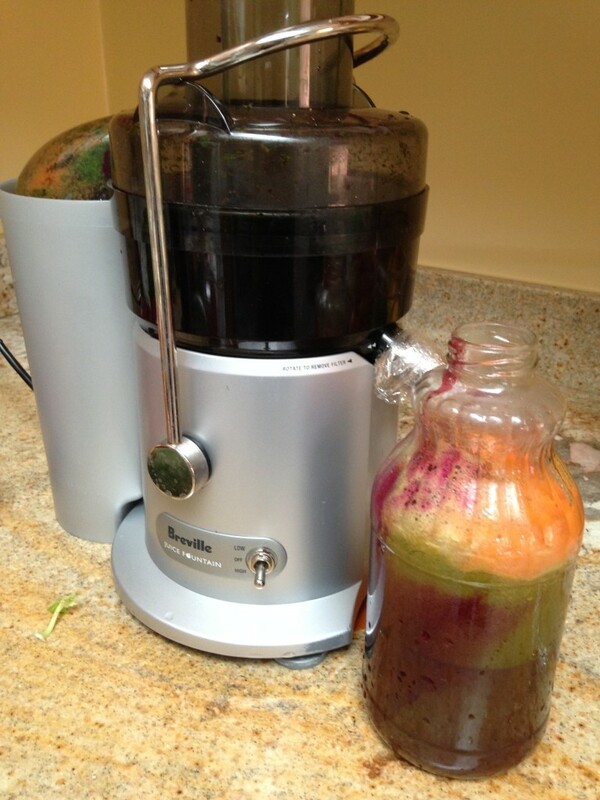 Juicing Tips: As you can see from the pictures juicing can get messy. I recommend getting all the ingredients and bottles ready and layed out so you can juice out more smoothly. 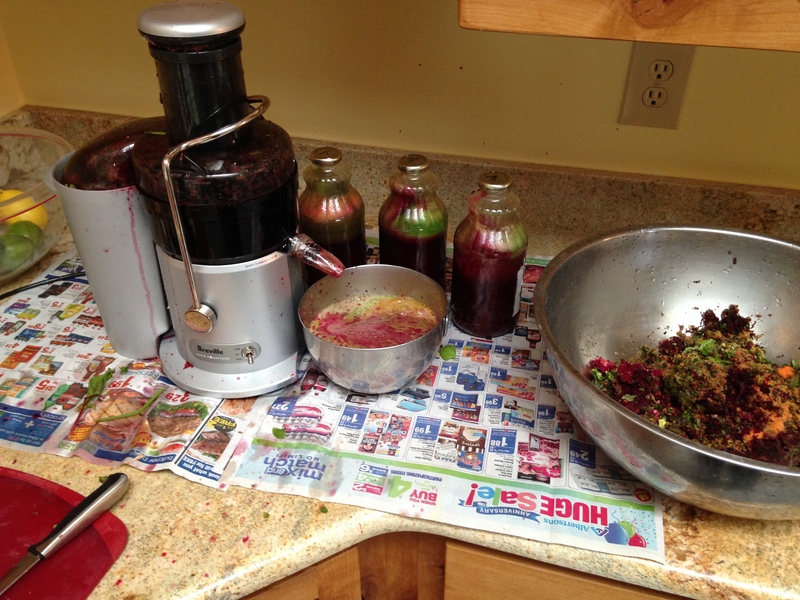 Lay out newspaper under the juicer so and splattering or spilling is a lot easier to clean up. Beware of beets!! they stain and any platters on the was or cabinets needs to be wiped immediately or it’ll leave a mark. 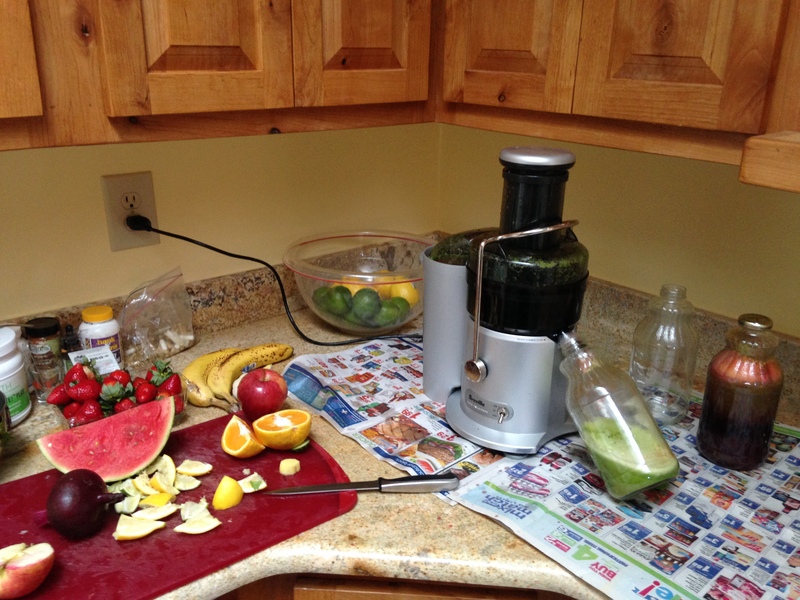 The juicer is easy to wash, without oils it makes a simple rinse quick and simple. Overall today was a little tougher, and I’m only 3 days in!! How the heck do people do this for months?! The morning and all day was pretty good in not feeling very hungry, but my energy level was definitely lower. I got about halfway through my ride and started feeling my muscles getting tired even though I wasn’t even going very hard. 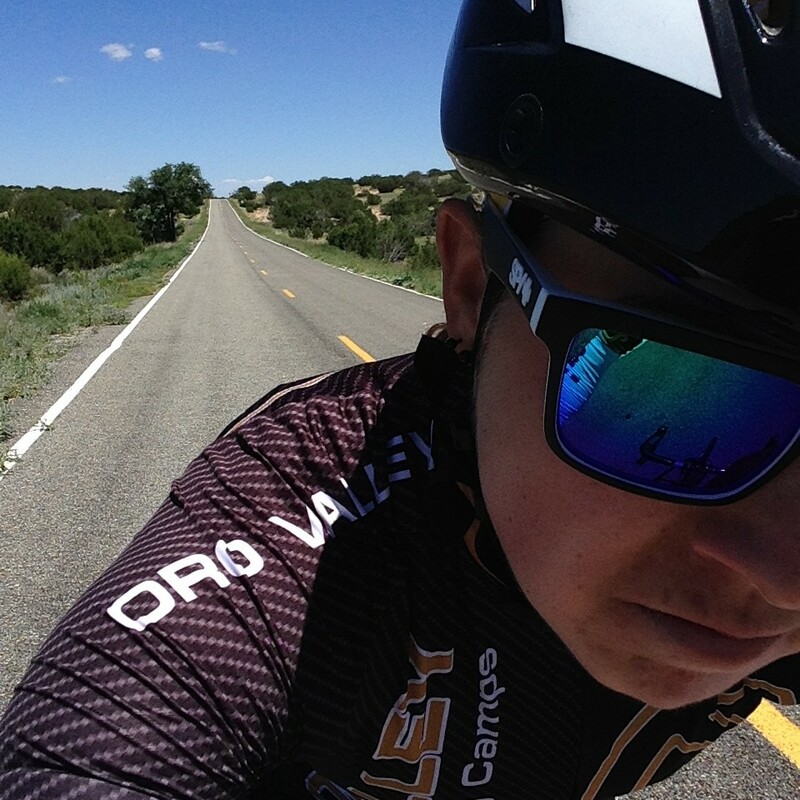 My mind wasn’t focusing as well (bonktown USA) and wanted to finish the ride, but I stuck it out and finished the training. Same thing when I went swimming, just feeling like a nap and not high on energy at all. My body is feeling great, clean and light. It’s just that since I am so used to having constant protein and other nutrition inputs this change has come with a little getting used to. One thing I noticed today is that waking up and getting out of bed was easier and I was ready to get the day going. I don’t feel hungry or sluggish in the morning but found my juicing routine has been pretty nice in the morning. What did hit hard to day was feeling tired in training and then in the evening before bed. This cleanse is definitely not for the high volume athlete or intense training season. I am glad to be doing light riding and swimming, but I still feel my body tired about 1 hr into a ride and just want to pull over for a nap. 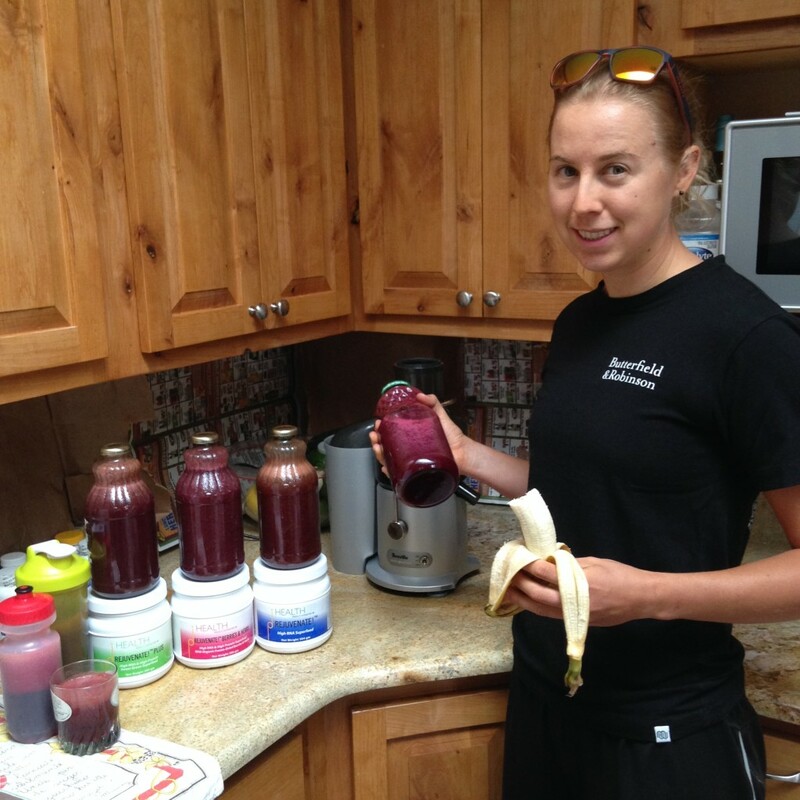 I make sure to drink plenty of juice before and after my training for energy, and lots of water during for hydration. Tip: Make sure you do the cleanse when you can exercise but don’t have intense, high volume, or super focused training. This will drain some of your energy, but you will feel so much better through and after the process is complete. Rejuvinate Mix– 1/2 scoop of Rejuvinate Plus (green), 1/3 scoop of Rejuvinate Berries and Herbs, 1/4 scoop of Rejuvinate Original. By adding this Rejuvinate mix to my juices it has given me more energy and adds more vitamins and minerals so I am not just drinking the juice alone but also getting other benefits and nutrients that my body needs. There is also extra protein that adds some more substance to the juice to hold my appetite over. 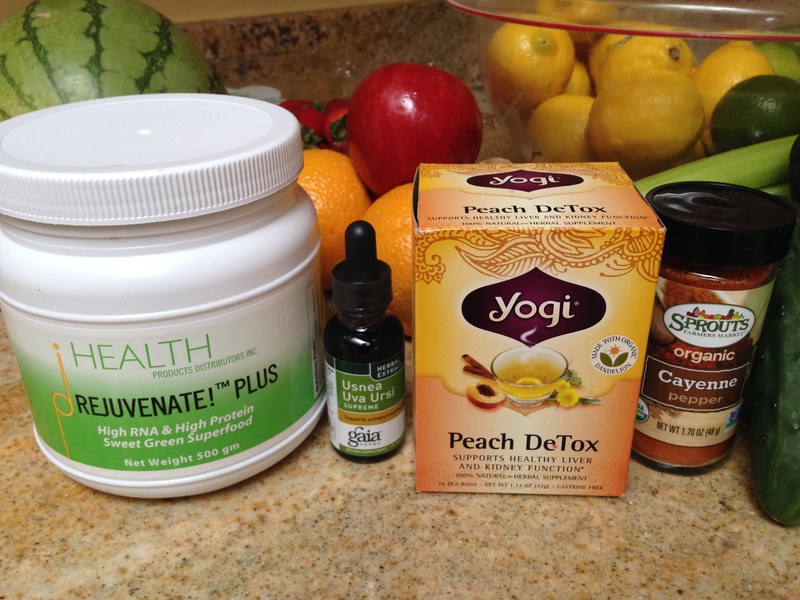 Today should be the last day and the raw food day, but I’ve decided to go for a whole week of cleansing. So I will make it 5 days of just juice and 2 days of raw food on either end. I am feeling good with the juice and something in me doesn’t want to stop before complete a full week. 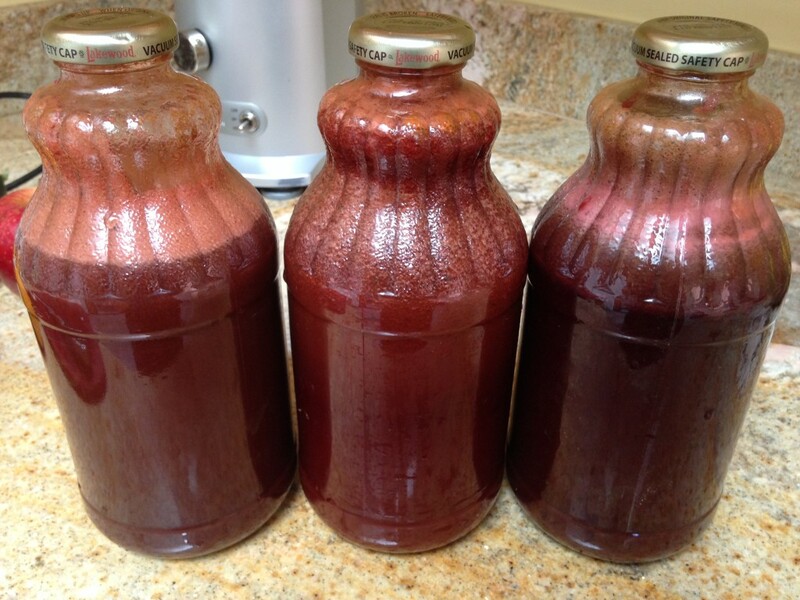 My biggest tip for today when doing the cleanse is to not hold back on the amount of juice you make or drink. It doesn’t matter how much you drank the first day because as the days go on your body will need more nutrients as it burns through stores. I found that I am loosing a lot of weight, not intentionally but just because of the cleanse and exercise. So if that is your goal then don’t think you have to stick to just a certain volume everyday. Each day I have increased my juice intake by at least 2 cups. Today I am at 4 – 32oz bottles (not completely full), and the first day I only had 3. Listen to your body and give it what it needs. I’ve upped the garlic and banana; since garlic is so good for vitamin C and cleansing and banana has some extra calories and energy to run on. So everyone has said “wow, only juice, you must be so hungry”… But I’m really not, and I haven’t really had big cravings for anything either. Getting my body into the routine, it has settled and is happy with the nutrients of the juice. I am happy to start eating real food again tomorrow, but definitely very happy I did this and went through the experience of cleansing. Not just for my physical health but also mental. It was great to refocus on what is important for my training and life beyond just meals and satiating hunger through the day. 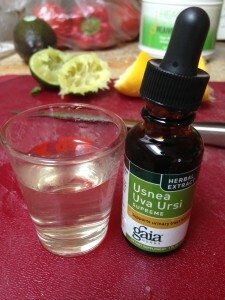 This helped me rebalance and feel my body in a state of renewal. One concern for most people when doing something like this is time and money. For time, if you think about the time you take to either make and eat meals or get food at a store or restaurant it takes up about 2-3 hours per day, give or take. 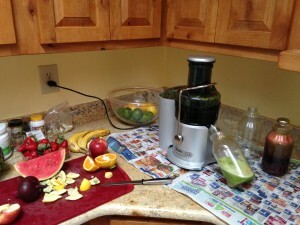 I have been getting up each morning and it takes me about 1.5 hrs for prep, juicing, and cleanup. And I drink throughout the day so I am not having to sit down with a plate or meal. It really is a great on the go kind of plan. For money, I have saved all my receipts from the grocery store, so after tomorrow is over I will calculated all of my expenses for this experience. But it has cost me roughly $15 – $20 per day. And that is completely organic produce. I have gotten a couple things from my dad’s garden (which is obviously ideal), but most was store bought. Thinking about what people spend on meals and eating out, that can get well over $20 per day. And getting juice at a shop or store, can run $5 just for a quart, and I am drinking well over 4 a day. This is definitely an economical diet if done correctly. Basically the same, but today I threw in peaches and more berries… I also strategically put in a banana into my first and second juices, so that before my ride and after I would have the extra sugar and potassium. Today was the final day of official cleansing and a day of raw food. I think my body knew it was the day because I woke up hungry for the first time all week. I still did my lemonade/tea and juicing for the day as I wanted to keep my hydration up and keep the routine. It was nice to think about what I would eat for my first food back, and I went for a banana this morning. Seemed appropriate since bananas are the common cure for cramps, and that’s why I did the cleanse. It was so great tasting and funny thing is, the chewing sensation was weird to get used to again. The rest of the day was pretty normal and not any huge cravings, but I had half an avocado before my workout and the other half after. I was surprised to not eat more but just didn’t feel like it, my appetite was pretty slim. But I was definitely satisfied and could say full after just eating a little bit. In the evening for dinner I went out and had an amazing salad. My body feels so good I am happy to have completed this journey. I did not do this cleanse for weight loss, but to clean out my body and help my kidneys and system recover after the fatigue of cramping. But considering I was in a down time with training it was the perfect time to do it and also shed a couple pounds before harder training again. So I will say it was incredible to see my weight change as each day passed. I started out at 148 pounds which is pretty normal for me and what I have been racing at this season, today I weighed myself in the morning and was 143. I am pretty shocked by how much I lost in this short time. And I wasn’t even holding back or feeling the pains someone usually feels in dieting or losing weight, I drank as much as I wanted and never felt hungry or strong urges to eat. I would really recommend this cleanse to anyone looking to clean up their system and/or to shed some unwanted weight. It is so important to take on things like this with a smart and prepared approach, with the intent of health and well being, not just to get skinny or for looks. If that is the drive then it’s more likely the weight will be put right back on, because it’s about a lifestyle and making good choices for the benefit of your body. To eat well and be happy with your body is the most important thing. So I hope this blog post has helped anyone looking to start or research doing a kidney cleanse. Or even just reading along as I go though along my road as a professional cyclist. It has been an amazing experience and I plan to do it again before my season of hard training starts in the fall/winter.